This Ruthie and today I bring a Mini Album for a baby boy!! I used to think that doing a MA would be hard and would take time; but no; it's really easy to do them. First I made the base of the MA with white solid cardstock. 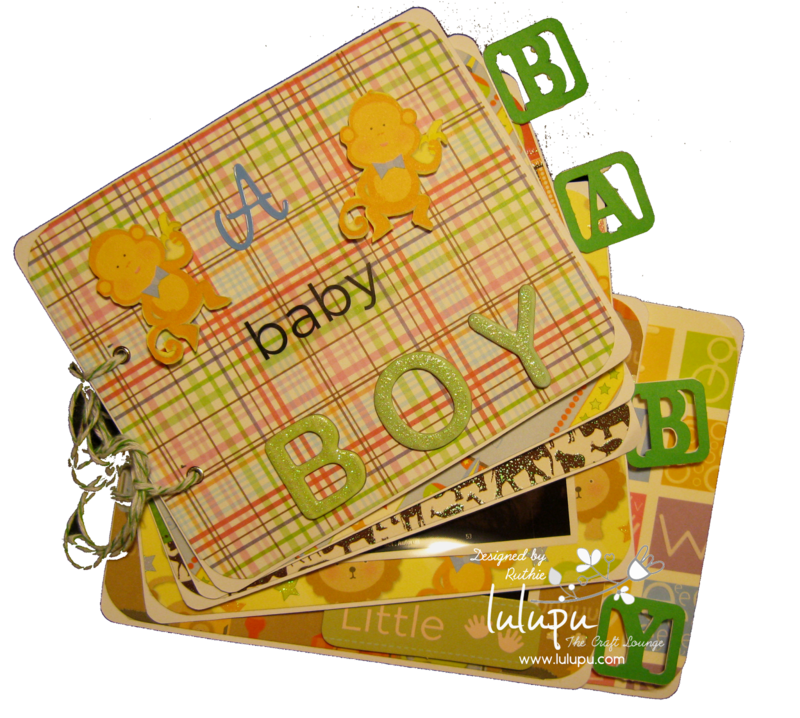 I used my Silhouette Cameo; and the file album for a baby. 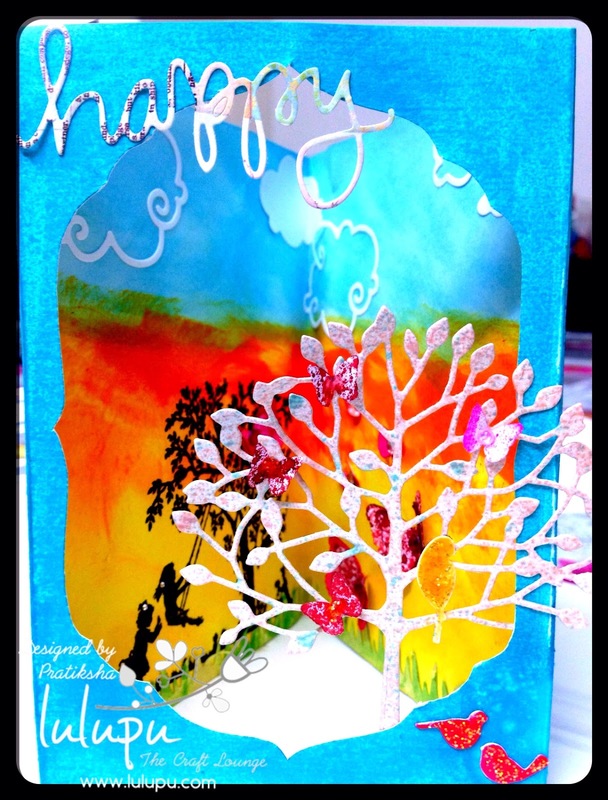 Then I used DWCV patter paper to cover the base cardstock. Added the ultrasound images and added stickers with baby motives to embellish the album. It's easy to combine papers when you use the same collection of papers. Or go ahead and mix and match from your collection! Since this is a MA for a baby boy I chose boy pattern paper. Aren't these cute? I tried to not put a lot of embellishments to keep the attention on the ultrasound images. The MA is a great idea to keep all the pictures together on one event. This is the back side of the MA; I left it without embellishments because this part would be facing down. I used the crop-a-dile to make the holes, to put the eyelets and added twine. Hope you like Mini Album. 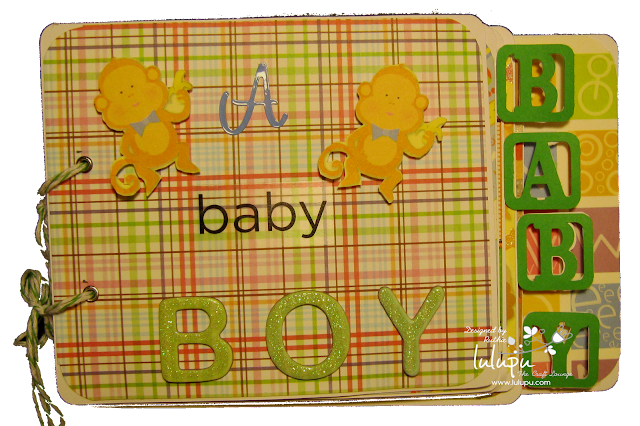 This is for my step-daughter who is having a baby boy. Don't forget to participate on our challenge this month Weather or not . We cannot wait to see you projects! See you next time!! 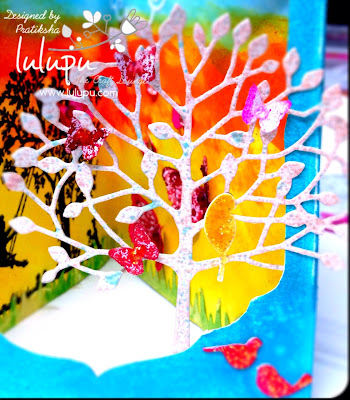 Here's a glimpse of Tilda..
Hello crafting friends!! This is Ruthie and today I come with the embossing technique but with a variant. 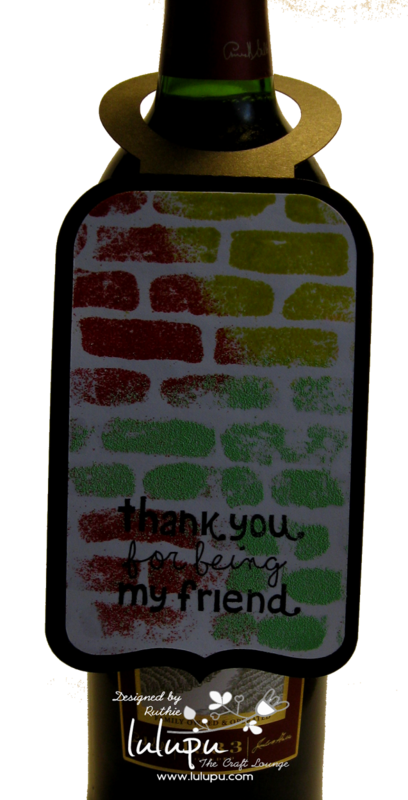 I decided to do embossing on a wine tag but with different colors; yes, so I used a the VersaMark Watermark Ink Stamp Pad Dazzle Frost and the Bricks Tempalate. Its's quite simple but i would still go ahead and share the easy steps! I used the Inkadinkado Embossing Magic Bag to remove any static from the paper. This is one useful product i cannot have neat embossing without. 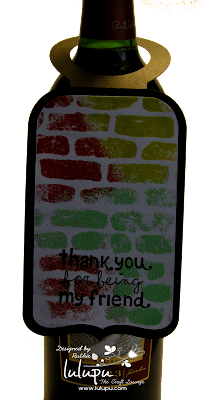 I put the desired stencil on the tag and apply the VersaMark Watermark Ink Stamp Pad Dazzle Frost over the cardstock. 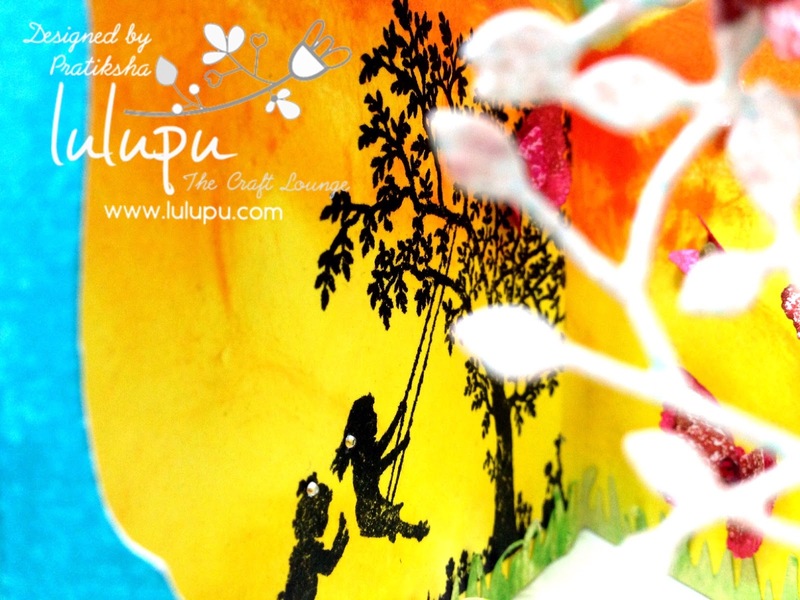 With this particular embossing ink you get a beautiful dazzle effect as well unlike the plain Versamark. 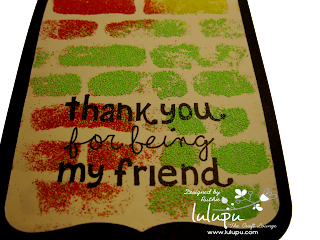 I used green, yellow and red embossing powders. 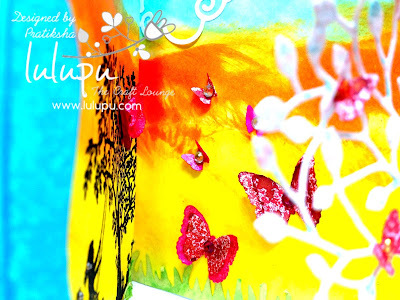 Choose colours you love! 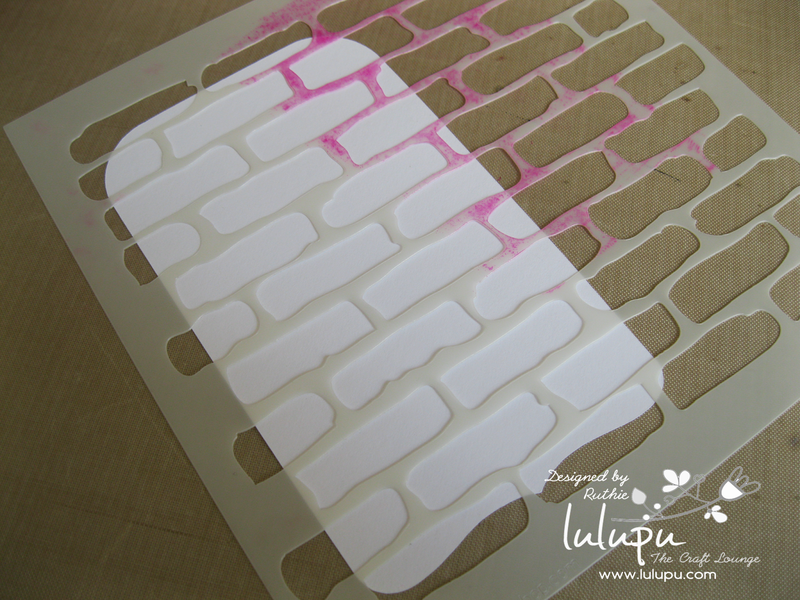 And then with a heat craft tool settle the embossing powder; you will see how it changes the consistency and creates a fabulous texture look. Here is a close up! 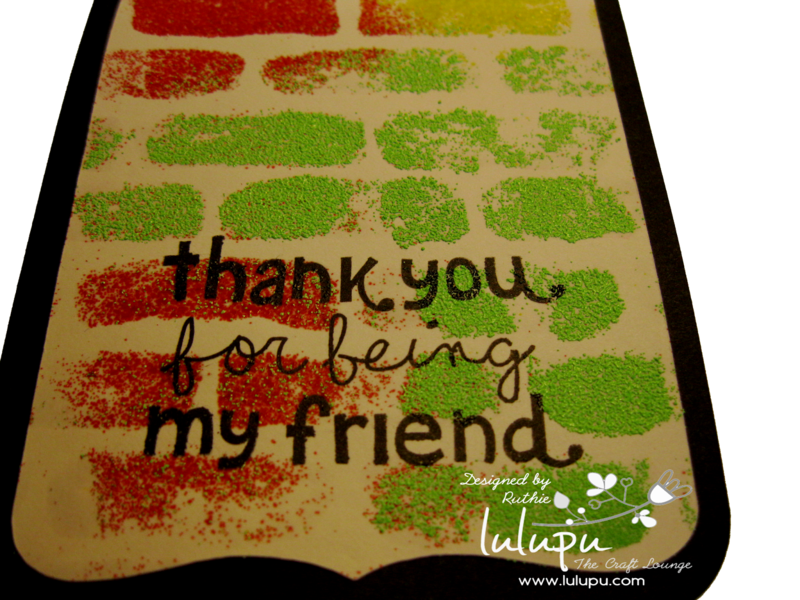 I used the Lawn Fawn stamp from the set Hello Friend with Archival Dye Ink - Jet Black. Archival inks are water resistant and my favourite. You can use them on all surfaces and they are suitable for stamping, embossing too! Now it is ready as a gift! Hope you like this technique and this wine tag. I love it!! You can use this technique for just about andy project! Goodbye Static! Anti-Static Pad 1.75"X2.5"
I really love these pens. 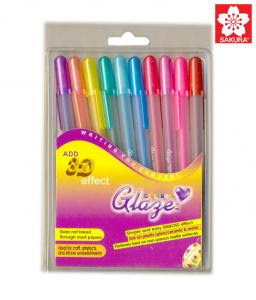 I don't know if i can give you a formal review, but i can show you how nice it and where all to use these pens. Hello all you beautiful folks.. I hope everyone has been having fun with the alll the holidays lined up. I for one am going nuts, because i have an extremely active 3 year old (who loves school!) sitting at home for four long days!! A play ground.. :) for me, that signifies pure innocence :) it is such a joy to watch children play with unabashed laughter, smiles and fun! 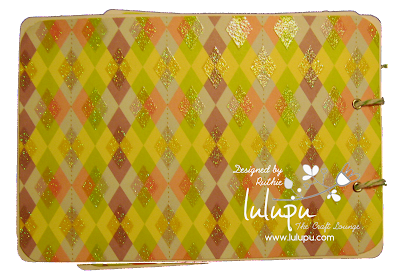 Cut the cardstock at 5 1/2" leaving you with 2 pieces of 8 1/2" x 5 1/2"
Score the window panel at 1/8" on either side. Adhere your die to the centre of the panel and run it through your machine. You'll get a window cut.